We operate a KIRA 3 Axis Computer Controlled Machine Centre to manufacture custom or short run components to your requirements. Manufacture the job in the required substrate. Deliver in time and in full. Total confidentially assured -- your designs stay your designs. 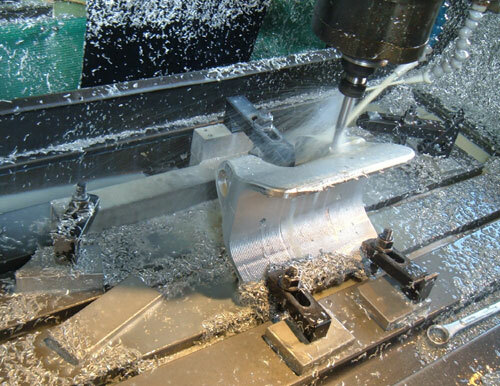 Alternatively let us design components for you to suit individual requirements. Either in 2D drawing or 3D solid model format. More information on our custom components design service page. Our KIRA Machine Centre has an effective table size of 450 x 350mm, with a vertical stroke of 500mm (depended upon tool length). If your job requirements fit inside these parameters we can manufacture it. 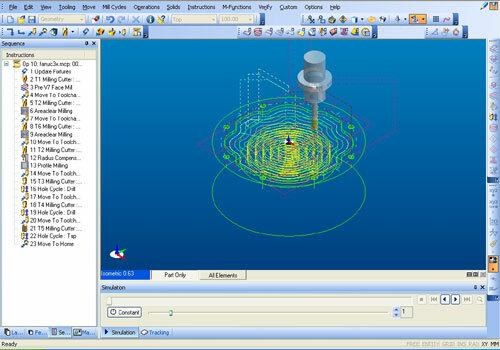 We use edgeCam software to create your jobs geometry and tool paths. Using top of the line software ensures what we design for you is what we produce.